This Saturday evening marks the 12th Open That Bottle Night and we hope you will join Palate Press for a special live tasting with originators Dottie and John from 7 pm – 10 pm EST. The couple will be responding live to your comments at the end of this article, so please share stories about the bottle you plan to open, who you are sharing it with, and why it is special. What are you drinking on Saturday night? Please leave your comments for Dottie & John below. Bruce, we doubt you will need a standby–that Cabernet should be awesome, and what great memories are attached to it. Let us know! Hello and happy OTBN! For this special night, Dottie has made her famous brisket. Before dinner, we had a glass of Bryant Vineyard Dixie Blush. This is a wine from Talladega, Ala., that was given to us by our friends Harold and Jean Settle. We toasted Jean, whom we lost at the end of last year to pancreatic cancer. The wine is made from Creek grapes, a type of Muscadine. Since we both grew up in the South, Muscadine wine makes us smile. Dottie’s mother, in fact, made wine with Muscadine and always had some squirreled away for us when we visited. The winemaker, Kelly Bryant, told us he has a soft spot for the Dixie Blush and we can understand why: Although sweet, it has a nice crispness and was not heavy. It has a lovely orange-blossom and honey nose , rich citrus tastes and remarkably good acidity. It’s simply a make-you-smile kind of wine. With dinner, we opened a 1989 Château Meyney, from the year our first daughter, Media, was born (both Media and Zoë, born the next year, were kind enough to arrive in excellent vintages). We are still sipping that as we write this, so we’ll give you updates. We expect to have more of the Muscadine for dessert. Memories of friends, family and great wines—truly what OTBN is all about. I have the distinct pleasure of sharing this evening with Jeff Lefevere, of Good Grape. Jeff brought a ’99 Heitz Cellars. I’ll let him tell you the story behind the bottle, if there is one. I can just say it smells AMAZING. It’s getting some time in the glass, but the company is the best part of OTBN. Hi John and Dottie!!! This is Mark and with my brother Ben about to kick off things for OTBN 2011. Ben will be drinking a Chilean Pinot Noir (Ritual) and I’m having a Scharffenberger Rose Sparkling Wine. Ben’s making a pork tenderloin with Potatos Anna. I baked a lemon pound cake! Our friend Linda is expected here any moment. Welcome back John and Dottie, we missed you! Mark and Ben, reading your menus has always been a highlight of OTBN. As you know, Scharffenberger brings back great memories for us (including Bobby Short at Cafe Carlyle). Enjoy–and tell us everything later! We opened a bottle of our 2006 Jean Edwards Cellars Napa Valley Cabernet Sauvignon wine. This wine is very special to us because it marked the second 90+ score we received by Wine Spectator magazine and re-affirmed decisions we made on producing traditionally-styled wines. Karen, that sounds great–and it really is wonderful to hear about you opening a wine with such wonderful history and great memories. Thanks Dottie and John. I’m thinking port after dinner and have several choices. narrowed it down to a 2000 Warre’s LBV or 2003 DelaForce Vintage Porto – any suggestions? Liz, congratulations on the baby! We’ll have an extra glass on your behalf. It does seem like only yesterday that we had Media in 1989 and Zoe in 1990, but, boy, do they grow up fast. Cheers and happy OTBN! Will keep you posted of our night, right now we’re sipping my whiskey sours for an opening act. 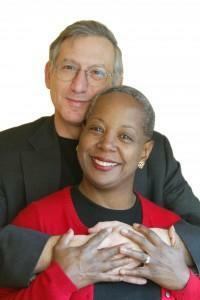 John and Dottie: Can you say if you’ll be returning with a new column? We’re just not sure what we’re going to do when we grow up. Media graduates from college in May and Zoe is right behind, so we’ve enjoyed enjoying them for the past year. Ben and I wish you all the best and for your daughters too! We as thousands of others have really missed you. Oh and we no longer subscribe to you know what! I couldn’t decide on a particular bottle, so I picked two. My reasoning is somewhat boring. I feel like both these wines are probably very nice right now and pretty much at peak. The 02 sparkling was disgorged about 3 years ago. Now, this isn’t to say that 2005 Finger Lakes reds are all peaking. This particular wine is sealed with a synthetic cork (the winery has since moved away from synthetics, thankfully). Anyway, it was now or never for both these wines, so here goes! Tom, both of those bring back such warm memories. The first truly great New York wine we ever had–many years ago–was Dr. Frank’s Riesling. We still have the label, of course. We generally prefer our bubblies with some age, so we think you are in for a real treat. Thank you for inspiring me to open up two bottles I’ve been putting off. One for about six months, the other for over six years. They are not my most expensive, rare or oldest wines. They are just wines that have a lot of meaning to me. My husband and I can’t seem to find roots anywhere and seem to keep moving every five years or so. This first bottle is in memory of our most recent home, Portland OR. It is in memory of the friends and neighbors we made in the few years we lived there. The wine, a 2008 Domaine La Ferme Blanche Cassis, was a gift from our next door neighbor who was in Marseilles for three weeks this summer for work. A woman who, by the way, said she “only drank red wine” (for the entire five years we were neighbors!!!). After years of trying to convince her that there is a white wine out there; I had almost given up. Then she brought us back this bottle, just a few weeks before we moved away to CT, proudly admitting that she had FINALLY found a white wine that she loved. It just took her flying to another continent to find it! I couldn’t wait to try it – this wine that (FINALLY) converted her to white! But opening it somehow meant closure… so I kept putting it off; but so worth it, because it’s delicious. The other wine is in memory of where I first fell deeply in love with wine; San Francisco, where we lived just before moving to Portland. A 2002 Anthem (Meritage blend) from St. Francis Winery. This was one of the last bottles of wine we bought before the move, and from one of the first wine clubs we ever joined. This is also the one wine I have been putting off drinking the longest (in our entire wine collection)! To me, opening up both these wines represents change and transition. Something difficult to do, but important nonetheless. Mary, what a beautiful note. Thanks so much. And, indeed, here’s to adventures to come. Sounds great–and a what a fascinating and wonderful pairing, Our 1989 Meyney is a bit long in the tooth and we keep expecting it to change in the glass for better or worse, but, interestingly, it really hasn’t changed with an hour of air. Still good, not great. My choice for Open That Bottle Night is a 2002 from Lanlande-de-Pomerol (Pont de Guestres is the Domaine, I believe). I actually don’t know too much about Lalande wines; I am guessing they are not officially part of Pomerol, but near it. Can anyone tell me more about this appellation? Lalande-de-Pomerol AOC is a satellite (right next to) of Pomerol AOC. They produce red wines with similar focus but are considered less age-worthy. The plus side, like with any production region right outside of a major appellation (I think of Priorat and Montsant in Spain) you’ll likely get better prices on L-de-P. How was the wine? This evening I just opened a bottle of La Miranda de Secastilla 2007 Garnacha, Somontano DO, Spain imported by The SF Wine Exchange. Loaded with forward red/blue/black fruitiness and more than a wee dollop of tannin which would serve well to accompany a steak, etc. At first I poured a sip at room temp. It brightened up a few degrees cooler. Avoid too much though or the wine will come across as overly drying if not slightly bitter. SRP is $15. Dottie and John: It’s been years and years since you joined me on Wine and Dine Radio to chat about your first book. Perhaps you will agree to another visit on iWineRadio Wine and Dine to talk up the What are You Opening this Saturday evening blog on PalatePress? Lynn,Great to hear from you! That sounds like quite an experience for $15. We’re having chili and a Cakebreak Zinfandel, 2005, with a Preston Zinfandel, 2003, as a backup. Actually forgot we had several bottles of the Preston in the cellar. I meant Cakebread, of course. Zin and chili. Talk about life-affirming. I had a Gewurztraminer for OTBN. The Vineyard wasn’t special to me but the varietal was important because it’s a difficult to pronounce wine. I wanted to share it with my guests to encourage them to try new things regardless of how scary it may seem. It doesn’t matter if you can’t pronounce it or can’t figure out where it comes from –discover something new. Lyneka, as you know, we love Gewurz, and we especially love it with some age on it. You are absolutely right about how scared people are about trying new things and about pronunciation. Introducing them to Gewurz seems like the perfect antidote. We remember the first Gewurz we ever had– at the old Sebastiani tasting room many years ago. When they served it, we asked what the grape was and the person behind the counter looked at us blankly and said, “Gewurztraimer!” The rest, for us, is history. Hello and Happy OTBN!! My husband and I are waiting on some friends to arrive while we prepare dinner here in Denver CO. We can’t wait to see what they bring and then we’ll decide what to “evict” from our wine rack. We’ll be having a Swiss Chard and Cremini Mushroom Lasagna with Sausage. They’re bringing cheeses and dessert so tonight should be a fun celebration! We were married at Buena Vista winery in Sonoma, California this past August so I think we might have to open a bottle from the wedding, just for fun! Congratulations on your wedding–and, heaven knows, a wine from that celebration would be perfect with that awesome meal. We’ve always enjoyed Open the Bottle Night and are glad to be celebrating again. This year, we are celebrating France. We aren’t very well traveled, but one of our most memorable trips has been to France where we celebrated our anniversary and enjoyed Beef Bourguignon. Tonight, we cracked open Julia Child’s cookbook and we are making some for ourselves to enjoy with a 2004 Chateau Pavie. Bon Appetit and Bonne Sante. The whole Tulsa Deco label pays honor to Tulsa’s rich art deco heritage (#4 ranked art deco city in the US) and the winemaker Chris Girouard plans to honor his father’s wine making vision with an Oklahoma grown grape in the near future. We sure miss your wine column!! There’s just nobody like you two!! Ed, that sounds great. One reason we opened the wine from Alabama tonight was because of our longstanding support of local wineries all over the U.S. As you know, we lived in Miami for many years and Dottie, as an editorial board member of The Miami Herald, had a hand in preserving that wonderful Art Deco district, so it’s a delight to hear about Tulsa Deco. Enjoy! I just read Ed’s blog! I must say, the Tulsa Deco Cab goes great with Ed’s flank steak. Very interesting that you were involved in the Miami Art Deco District preservation project! Take care and we look forward to seeing what you two write about next. Time for the TBA. I’ll do detailed tasting notes later, but let’s just start with WOW! An old TBA, this one is from 1976, is so dark it looks like a tawny port. I hope the wonderful person who bought the other bottle for Wine for Haiti enjoys it as much as we are over here. Without OTBN I never would have found a good enough reason to open, so thank you Dottie and John. Thank you, David. Wow, that sounds so delicious that we can taste it–but, at the same time, isn’t the amazing thing that you can’t really taste it, that it just seems to be BE in your mouth? It’s like the essence of delicious. It’s like you’re sitting at the table with us (and I look forward to the day you are). Actually, tonight is a visit from my best friend in the world, an Irishman back in the States craving chicken wings and white wine. So I broke down and opened a Kunde Estate Viognier, which was perfect for spicy chicken. It’s far from my most exotic bottle, but one I save for picky food pairings. Thanks guys, for reminding me that these bottles are meant to be enjoyed, and to Tim Bell, Kunde’s winemaker, who did his usual fine job with a fun little wine. The night is young — there might be more to come! Chicken wings and Viognier–yum. We never thought of that, but now that we have….. Thanks! The Sharfenberger Rose Sparkling wine is superb, Linda says its pleasing to the eye and palette. Crisp and citrusy! Ben’s Chilean 2008 Pinot Noir by Ritual is a very serious deep, fruity Pinot. He’s loving it! Pork Tenderloins are almost done. As I mentioned in my post, we started a night early with a 2006 Reininger Carmenere from Walla Walla. A great wine! So I declared last night our OTBN b/c that special bottle made sense then; but we really enjoyed tonight’s wine: 2998 Encontro Bairrada from Portugal. Not typical OTBN price point at $9, but wow, this drinks like something at least 3x the price! Truffle fries? What wouldn’t be a winner with truffle fries!? Bourgogne Aligote Domaine Henri GROS 2000 I found this in my wine box. Is it past its prime? What might I expect when I open it? Glad to see you back John and Dottie. Missed you! Well, we don’t think anyone would have told you to keep it for a decade, but some of our most memorable experiences have been wines that we lost somewhere that we should have drunk long ago. There is only one way to know for sure–pop it open now! Didn’t work out. Reminded me of vinegar. Amazingly, the color wasn’t as dark as I expected it to be. Probably was great a decade ago 😉 I think I will go through the wine box for OTBN and see what else is not suppose to be in there… Looking forward to more from the two of you. Congrats to Media and Zoe finishing up college. Time flies! The dinner is done. The kids are finally in bed. And Mrs. Fussy and I are going back downstairs to drink the last glass of the 1998 Domaine du Gros Nore in peace and quiet. It was great with the beef. Now we’ll see how it goes with Dr. House. Awwww. Thanks for joining us, and best to Mrs. Fussy. On the west coast, here, so we haven’t cracked open ours yet, but we’re going to open pinot noir-centric wines tonight (we make small lot pinot noir, hence the focus). My wife loves Champagne, so we’re opening a Fleury Blanc de Noir – an all pinot sparkler. To go with our pan-roasted pork tenderloin, we’re opening a 2002 Vynfields pinot noir from Martinborough, New Zealand. The winery also has a Victorian guest house in which we spent a couple of nights when we visited (and acquired this bottle) in 2004. The garden in the back was full of herbs, veggies and other wonderful produce. We have a good friend who lives in Christchurch, NZ and we are relieved to know that she is okay after the terrible earthquake this week. But our thoughts and prayers go to those who did not survive the quake or have suffered injuries or other losses. Having both survived quakes in California (Northridge, Loma Prieta), we know how devastating and terrifying they can be. So, cherish what you have, think of others, and yes, drink what’s in the cellar. Brian, we couldn’t possibly say that better. Very best wishes. Hi Dottie and John. Good to see you back. As you may recall, Cindi and I have been enthusiastic supporters of OTBN from the very start. Tonight we opened the last remaining bottle from my first wine list purchase (I’m on far too many lists now), a 1996 Storybook Mountain Eastern Exposures Zin. Sadly, while still drinkable, the fruit is all gone and it’s a shadow of what it once was. The lamb was great, though, and the 2005 Siduri Parsons Syrah stood in just fine. I’ll probably drink the Storybook Mountain tonight and tomorrow but just to remember how wonderful it once was. Jeff and Cindi, it is so good to hear from you. We remember the first Storybook we ever bought–at a little grocery store in Coconut Grove, Fla. It was so powerful and earthy, it was like drinking rich earth. Ahhhh, good memories! We’re currently drinking Freixenet Elyssia Sparkling Pinot Brut with a selection of cheeses. Can’t wait for dinner-we have an ’04 Bordeaux selected as well as a California Meritage. Red deer striploin, duck fat potatoes, hunter sauce, and green salad. The wine is 1995 Caymus Cabernet Sauvignon. The vintage is the year we were married, and the wine was one of the first we bought in any quantity. Now that is a special meal–and a perfect pairing, it sounds to us (and we don’t just mean the wine). Dottie & John so wonderful to have you back. Have loved your support for family wineries. As our evening begins, and yours closes, thinking warm thoughts about you two. Along with the wine, this is a special evening – we may even have some exceptional near-midnight snow in the foothills of the Ramona Valley AVA. Thanks, Dennis. Having just today shoveled the last icy snow from the deck, after weeks of feeling snowbound, we’d be happy to send you some! Thanks again for the note and all the best. Ben’s Pork Tenderloins, Potatos Anna, and mixed vegetables was superb. Went beautiful with the Sharfenberger Sparkling Wine and the Ritual Pinot Noir. We played lovely lounge music and now will watch a film noir on DVD. My lemon pound cake (recipe from Joanne Chang of Flour) to come soon! Hope you’re having fun! We are having fun, but more so if we had that pound cake…. Hi Dottie & John! Sorry for joining late. I’ve got my Valley of the Moon 1999 Cuvée de la Luna here. 68% Cabernet Sauvignon, 30% Merlot, and 2% Cabernet Franc. Sonoma County. Tasting tonight with my partner Christopher, friends Amy, Lynnette, Lisa, and Marissa. And, of course, most importantly Lindsay and Danielle who are drinking the same wine 2,000+ miles away in Ohio. The cork was a little soft and I lost a couple centimeters of it to the bottle. This wine is definitely showing some age. Garnet in color with a brick rim. On the nose it has definite aromas of dried fruit—cherry, plum, raisins—lots of spice, some vanilla, dried flowers, earth, the slightest hint of bell pepper, and what I think is a little Brett. It’s dry and rich on the palate, medium intensity, medium-light acidity, super soft tannins. Lots of dried fruit and floral flavors come through on the palate as well. Black fruit: plums especially. And a little cola. Definitely some brighter cherry on the finish. Thank you again for participating with everyone this evening. We at Palate Press certainly appreciate it! An Italian-Portuguese combination for me, tonight, with homemade pizza nicely complementing a 1994 Casa Ferreirinha Reserva, a very classic Douro table red with lots of life left in it. As you can see here (http://twitpic.com/446g3d), there’s quite a bit of color on it, with a rich garnet color, and aromas showing the wine’s maturity: mushrooms, tobacco, plums and raisins, with fine, fine tannins wrapping things up at the end and still a nice bit of freshness. And the stuffings to stand up to the pizza. A good bottle of mature, open red on a pleasant Saturday night. And a good occasion to open that bottle, for the simple pleasure of enjoying it. OTBN came in very handy, in that regard, giving me a nice nudge to drink it up, instead of putting it back down one more time, looking for a – very theoretical – “perfect” moment. That’s what it’s all about–making the moment perfect instead of waiting for the perfect moment. Long time fan of OTBN! Up tonight for me are the 2007 Monastero Suore Cistercensi “Coenobium” Rusticum and 2001 Bandol Domaine de la Bastide Blanche. Enjoy everyone! Okay – we’ve got some more wine! Lazy Creek Vineyards 2007 Anderson Valley Pinot Noir – a great vintage from Anderson Valley, traded to Lynnette by the tasting room manager from Lazy Creek who was visiting the Willamette Valley. Lynnette and Amy spent Amy’s 40th birthday there at Lazy Creek. Silver Oak 2002 Alexander Valley Cabernet Sauvignon – given to Amy & Lynnette as a wedding gift in 2007. Urban Ribera 2006 Tinta del País, Riber del Duero – Lisa got this at Cork: a bottle shop in Portland, OR. She’s been drinking a lot of Spanish varietals in preparation for her trip to Arizona. Cheers to you and thanks! I just opend a 2006 Two hands shiraz Bella’s Garden. All my “wine friends” told me I was kind of crazy as every tasting note indicated that this wine could be open in a couple or more years but I think this is really what OTBN is all about: opening some bottles that you are always hesistant to uncorked. it was really a magical evening: I cookes burgers and baked potato chips and the Bella’s garden really shone. A little bit of a fruitbomb in the attack quickly turns into a “serious” wine with powerful spice notes with some pepper on the finish. To me OTBN is just like Christmas. Jesus, that’s just the point—there’s always a good reason to wait to open a wine, and it seems like there are never enough reasons to open that wine tonight. But there are always reasons to open a good wine–and being home with loved ones is reason enough. Thanks for your note and happy OTBN. Our OTBN began at 5:30 p.m. EST. It is now 9:55 p.m. and we are about to indulge in the 6th course of our 7 course Italian feast. It will be braised short-ribs paired with a 2003 Guido Porro Barolo which was gifted to us on our last wedding anniversary. We think OTBN is the perfect event for opening such a wonderful gift! What a wonderful night of incredible Italian treats, special wines and new memories made. Thank you John & Dottie for your inspiration! Well the lemon pound cake dessert was superb, with all proper modesty. Sipping the final pour of the Sharfenberger Sparkling Rose. What a wonderful night and tradition. Got to share fun stories with Ben and Linda and we are looking forward to OTBN 2012, maybe this time with live video???? 🙂 Good night! Sorry to be reporting in late. We are in Buenos Aires and the online event had timed out by the time we got back from dinner. We tasted so many great wines in Mendoza that we were confused about what to drink on OTBN, so we decided to just go to dinner and see what would happen. The rib eye steaks at El Mirasol were outstanding — about as tender and flavorful as you can imagine. For the wine we decided to go in a new direction, selecting a reserve Malbec from Patagonia –Bodega del Fin del Mundo 2009. It’s a modest wine in terms of price (about $12 in the U.S., I think) but it was perfect with the steaks. As John and Dottie say, OTBN is about memories, not price points, and I think we created a great memory. Looking forward to OTBN 2012. Then as word started trickling out and what an event this usually is, New Science groups coming to station would bring a bottle or 20. Volunteers worked all week to make up appetizers and that would be our dinner that night. The day of the event, one of our main cooks got sick. We all felt bad for him personally, but we had a party to put on and re-grouped and got more volunteers involved to help roll sushi, make crostini s, fry calamari puffs(like meatballs), we had meatballs stuffed with Pine nuts & rosemary with a light swiss cheese cream on top, shrimp cocktail, chili-lime pistachios mixed with dried pineapple, Meat and tofu skewers with mango and a hot spicy rub to make it tangy. Brie with jalapeno jam backed in a pastry. And to top it off, flour-less chocolate cake, Cream Brulee and a special treat of flavored filled shaved Ice. Green tea withLemon Grass waas one, Raspberry & watermelon were the others. We had a wine from the Columbia Valley “Duck Pond” that was a Syrah, one from California. Trapper Peak “Rodeo Red, and the chilean wines we found some with surprising blends. Cohcha Y Toro has a variety of mixes and goes under the label “Trio” all were quite different, but very nice. We had a Peach wine brought from Carlson vineyards in Colorado, The whites, were fantastic. All from chile, Then the desert wines and Champagne. We didn’t open the Desert wines, yet, but we have a wonderful bottle of Ginger Currant wind from “the Stones of London”, and a chocolate port from Mission mountains on Flathead Lake Montana. We set up the galley where the tables were off to the sides holding all the food, one table reserved for the wines. People mingled with others that they usually don’t come in contact with on a day to day basis. I talked to one of the guys that worked for me in a past station and we found out things about each other that we didn’t know. I have many thanks for this event to happen, to Dottie & John for continuing to support this event, our other cook who seems to work like superwoman helped the most by continuing to give guidance when needed, made beautiful breadstick basket and was the main power to give this event the continued energy it needed. We’re planning an Art show in a few weeks, we might break out those desert wines for that event. Take care Dottie & John! Hope yours was memorable! Zee, thanks so much for your totally delicious note and please give everybody our very best wishes! Thanks for another OTBN – always very special and great to have you back! I celebrated my first OTBN last night! I have to say that this is a fantastic idea and I plan to start celebrating every year. Sorry I’m a bit late to this party. We did celebrate with a bottle of Bethel Heights Pinot Noir from 2005. I slow cooked short ribs from a Minimalist recipe in the NYTimes. The wine was perfect for the three hour+ cooking and then sipping with dinner. A truly great meal. We miss you both and hope to have you back with a new venture. p.s. last year made duck from Dottie’s recipe, it was divine! We did end up doing something for OTBN. We went out for a seafood dinner. I had fried oysters (my fave!) and DH had linguine in clam sauce (his fave!). We opened a bottle of Aveleda Vinho Verde from 2007, that’s been (obviously) sitting around for a long time. No idea why we bought it or where – nothing special about it at all. But we needed to open SOMETHING for OTBN and so there you go. It was fine. Light, crisp, refreshing – everything you want in a Vinho Verde. It went well with the oysters. Still definitely had a little frisson of fizziness that was very nice when we first opened it. We probably should have had an appetizer to enjoy the fizziness with, but we’re really not appetizer people. 1/3 of the bottle is still in the fridge. Maybe I’ll use it to poach some fish later in the week. I’m hoping that next year we’ll have some new friends in our new neighborhood that we can share OTBN with. Still, not a bad way to spend our first OTBN in our new town. Better late than never. My wife and I spent saturday night at our cottage in Union Pier, Michigan. Originally the evening was to be spent with two other couples but fate had it that only Mickie and I remained. We opened a 1996 Stag’s Leap Napa Valley Cabernet Sauvignon and paired with a Pork Tenderloin, Raised Bohemian Dumplings and a Sour Cream/Tomato Gravy (called Rahm Schneitzel-why?I don’t know) along with a side dish of green beans. Because we were uncertain of the condition of the wine, we had a Domaine Berrien Lemberger as a stand by. When we opened the bottle, the cork broke off and so we were ready for a disappointment but alas, after we pushed the remaining piece of cork into the bottle, we found the wine still retained it’s fine characteristics. At first is had a lush lingering taste with a smooth finish. The second glass had a surprising crispness but with distinctive taste af berries and the final glass left us with the fabulous tasting of berries but with the smooth finish found in the original glass. Other than the bits of an occasional cork, the combination was a delightful pairing. We finshed the evening with a small glass of Port and conversation of experiences we have had with wine and food, our grandchildren and how happy we were to have found eachother. What a wonderful evening. Thanks again for the OTBN idea. I am curious to find out what blog system you have been working with? I’m having some small security problems with my latest site and I’d like to find something more risk-free. Do you have any suggestions? Half way through a 1990 Guigal Hermitage and a plate of slow braised short ribs. Wine is in remarkable condition for a 22 year old bottle. Mature aromas but lots of fruit and earth left. Wonderful length to the finish. It reminds me, again, why I love older northern Rhones. Wonderful wine. Ran across a mention of OTBN on Twitter and decided to follow John and Dottie’s excellent advice. We had a bottle of Jack Creek Cellars 2009 “Kruse Vineyards” pinot noir that’s been sitting in our cellar for a couple of years. Patience has its rewards. Here are my tasting notes. This wine has aromas of cola, rose petals, and chocolate-covered cherries with a touch of anise. The flavors are long and complex. On the palate the wine opens with silken tannins and a hint of spice, developing into densely flavored blackberries and ripe plums. The finish is long and smooth, featuring notes of earth and chocolate. FWIW we no longer read the wine columns in the Wall Street Journal. They are uninformative and mostly uninformed. We still miss John and Dottie. Thanks to PalatePress.com for hosting this event.